VeriFone Systems, Inc. has been selected provide merchant payment solutions as part of the initial phase in a major contactless payment rollout in Mexico City by the Mexican bank Banamex. In the first phase, several thousand VeriFone contactless-enabled card acceptance systems will be deployed to 1,900 merchants in the Mexico City metropolitan area. The bank is also issuing 100,000 contactless credit and debit cards to begin the transition to the new innovative way of payment. 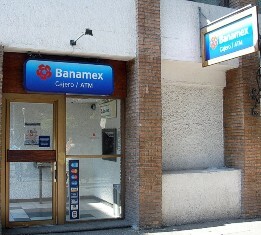 Banamex will deploy the VeriFone’s VX 520 and VX 820, both members of the VX Evolution product family, which provides advanced technology capabilities such as NFC/contactless, EMV, and tighter security with PCI PTS 3.0, as well as higher-level performance and the ultimate in reliability. For purchases of less than 250 pesos (approx. US$15), contactless payments will require no signatures, resulting in quick service in locales such as fast food restaurants, bookstores, pharmacies, magazine stands and other types of businesses. By end of 2012, the bank expects to have issued 1 million contactless cards and to have deployed 12,000 payment acceptance systems.